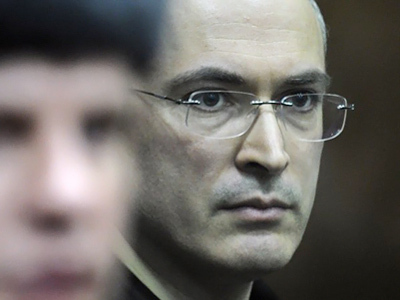 The jail sentence of former Yukos head Mikhail Khodorkovsky and Russia’s judicial system are the top topics on which internet users are submitting questions to President Dmitry Medvedev ahead of the Davos Economic Forum. 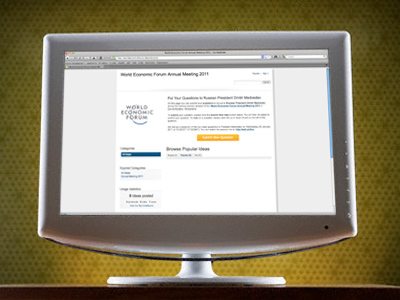 The questions can be asked on the forum’s special page http://wef.ch/AskDmitriMedvedev. The president will answer some of the shortlisted questions in his opening speech at the forum on January 26. He has already replied to some of the questions, particularly those on the Khodorkovsky case. Internet users have also been asking about the overall state of the legal system in Russia and the Sergey Magnitsky case – whether those responsible for his death in prison will be held accountable. They are also traditionally interested in relations between the president and the premier, Vladimir Putin.